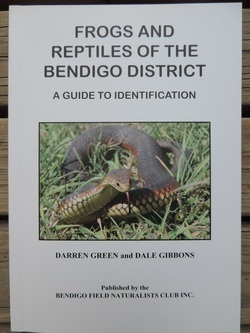 Publications page - Frogs and Reptiles - Bendigo Field Naturalists Club Inc. Compiled by Darren Green and Dale Gibbons, 2010. 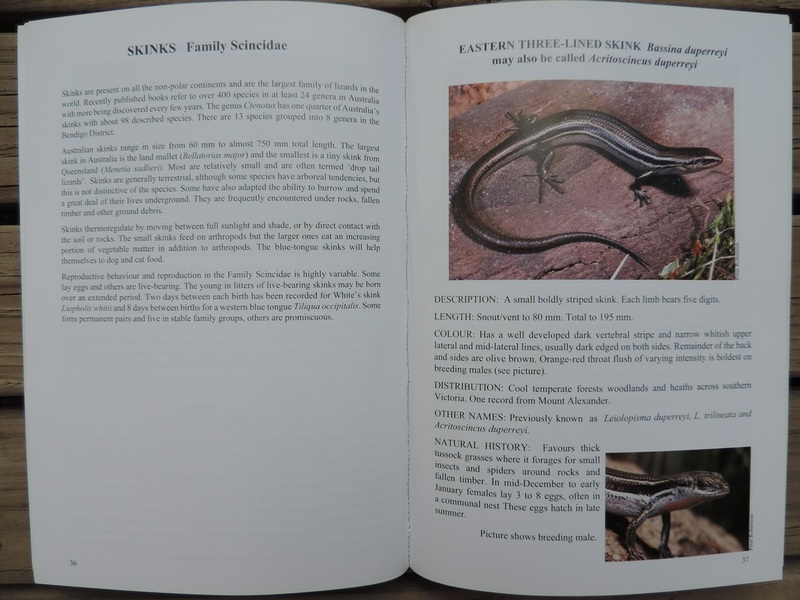 Colour photographs of local species along with notes on classification, identification and natural history. 71 pages.